Did you ever hear about the time Trump tried to ban braille? And, no. Unfortunately that isn’t just the start to a bad joke. Firstly, I’m just going to have a quick rant, because I originally spent around 5 hours writing this post, until it just disappeared, and deleted itself. So, here I am again, 5 minutes after deletion, starting the entire thing all over again. Brilliant. I was hoping to have the post finished by now (it is 8:33PM as I write this), yet, for some unknown reason, my work has just disappeared. Yum. When I first heard about this story, I found it difficult to believe. Yet, it only took some light reading to confirm that it was, in fact, an accurate recollection of events. 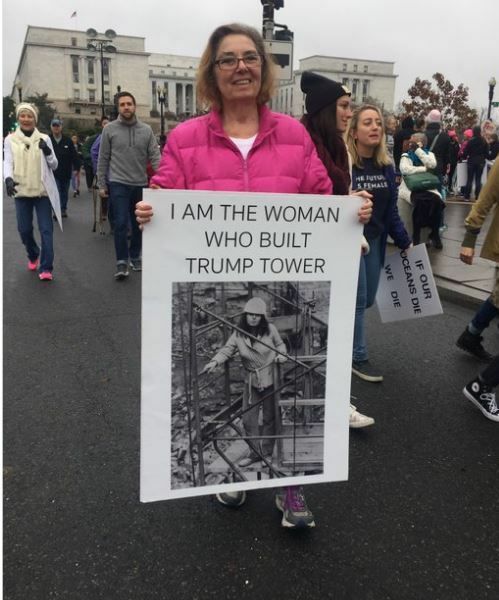 Barbara Res (pictured below) is one impressive woman; she was responsible for the construction of Trump Tower, and has recently exposed Trump for his narcissistic, sexist and downright concerning tendencies. Ms Res worked for Trump for 18 years, and has recently recounted an incident during which the current POTUS ordered the illegal removal of braille from Trump Tower. “Get rid of the [expletive] braille. No blind people are going to live in Trump Tower. Just do it,” Trump yelled back, calling him weak. Ooh we love a discriminating president. My favourite. You Sir, are a true American hero; a man of the people. The true leader of the Free World. Yes, Donald, let’s ensure no-one ‘sub-standard’ can ever access or inhabit your building. What. A. Fantastic. Idea. So, while it may, at first, seem as if Donald has an inexplicable hatred for blind people, there may be another reason to his irrational behaviour. Res goes on to explain that Donald would spontaneously allocate his ‘inferiors’ impossible tasks, and would then proceed to hold them accountable when the task was not completed. Trump never actually expected the employees to complete these tasks, but took great pleasure in chastising them when they, inevitably, did not do so. The true epitome of power play. So, either way, it is clear that this incident was down to Trump’s disgusting view on the ‘lesser’ members of society. Res’ description of him and his behavioural patterns suggests that he enjoyed intimidating, and overawing, those working for him; Res has not explicitly explained why this was, but I’m sure we can all agree that, judging from his portrayal in the media etc., it’s not difficult to tell that he adores being the centre of attention, and he clearly craves power. And, alternatively, if he really is prejudiced against blind people, then I am completely lost for words. Not only is that completely unacceptable, but, as most of his beliefs are, also completely irrational. Even if he did refuse to accept those with disabilities as ‘equals’, would he not, as a businessman, keep his options open to anyone and everyone, in order to make the maximum profit? Does he not consider those with disabilities to be ‘people’? I really don’t know what goes through that man’s head. I don’t think I want to know either. 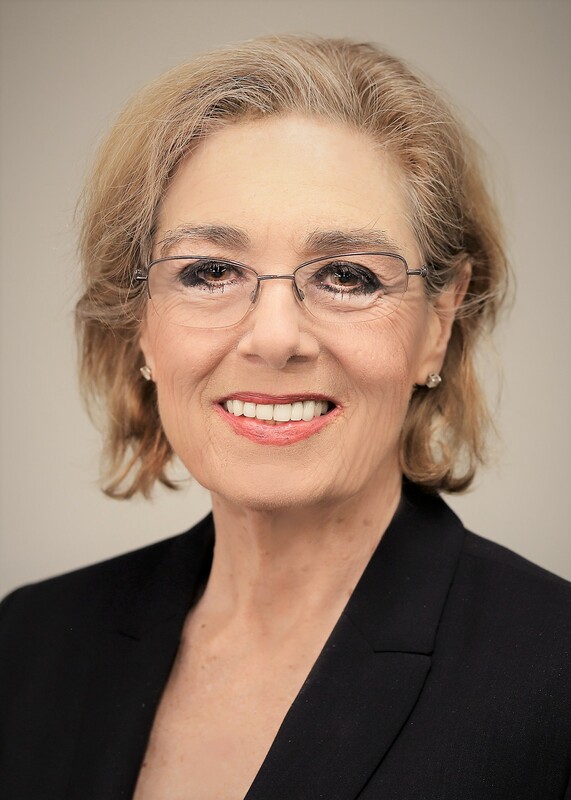 Had Ms. Res continued to support and defend the President’s actions, I would certainly not respect her anywhere near as much as I do. However, in an act which deeply angered Donald, Res stated that, in the election, she would be voting for his Democratic opponent: Hillary Clinton. And, of course, she didn’t stop there; she has continued to expose Trump’s sexist behaviour – she has recalled how her former employer used to brag about the number of women he had ‘chasing him’, and she reported that he once told her ‘men were better than women’. No, Donald, nobody has to remain loyal to you. 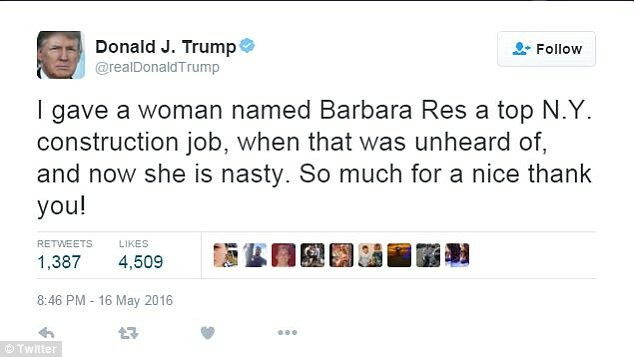 Barbara Res has not turned ‘nasty’ as you so described, but she has come out and told the truth, which appears to be something you are completely incapable of. When is anybody going to tell this man that nobody owes him anything? I’m so glad you enjoyed it – thank you for your lovely comment! Liking your post isn’t enough! I absolutely love it. Thank you for re-writing it! ________________________________ From: The World From Curly’s POV Sent: 18 September 2018 20:44 To: susanbearman@hotmail.com Subject: [New post] Did you ever hear about the time Trump tried to ban braille? New post on The World From Curly’s POV [https://theworldfromcurlyspov.files.wordpress.com/2017/10/ce73cc5d-6732-4287-a8cc-ce229fc7c151.jpg?w=32] [http://2.gravatar.com/avatar/5258250d5a915b8d6073fdd9cc30eeb1?s=50&d=identicon&r=G] Did you ever hear about the time Trump tried to ban braille? by Curlyblogs26 And, no. Unfortunately that isn’t just the start to a bad joke. Firstly, I’m just going to have a quick rant, because I actually spent collectively around 5 hours writing this post, until it just disappeared, and deleted itself. So, here I am again, 5 minutes after deletion, starting the entire thing all over again. Brilliant. I was hoping to have the post finished by now (it is 8:33PM as I write this), yet, for some unknown reason, my work has just disappeared. Yum.